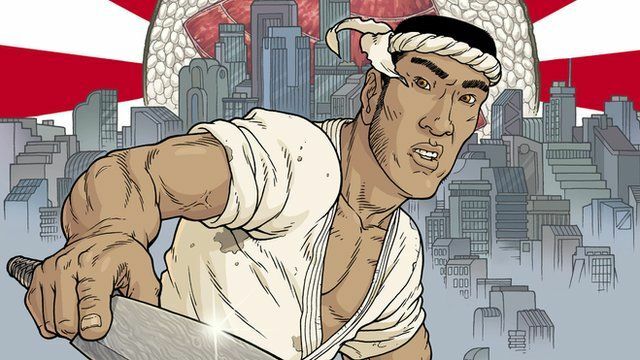 In Anthony Bourdain's new graphic novel, Get Jiro!, chefs rule a futuristic Los Angeles, bitterly divided by two warring foodie clans. Both vie for young Jiro's legendary sushi skills. But Bourdain paints his hero as an independent thinker who won't compromise on his devotion to the art and craft of sushi. Bourdain had a bite with the BBC at Sushi Yasuda in New York. There he talked about his deep love for sushi and the inspiration behind Get Jiro! Produced for the BBC by Leigh Paterson.